Hua orana refer’s to agreements made through established relationships with our partners. Through Tūhoe Fish Quota Ltd and Aotearoa Fisheries, we have in a place a “Pātaka Kai” arrangement, available to all Tūhoe Marae. In addition and through our relationship with Central North Island Holdings Ltd, you can obtain a permit to enter Kainaroa to gather kai. Tūhoe receives kaimoana called Pātaka Kai from Aotearoa Fisheries Limited (AFL). AFL provides Pātaka Kai to all Iwi who hold a Quota agreement with them. Pātaka Kai is available to Tūhoe affiliated marae, free for tanihana only. 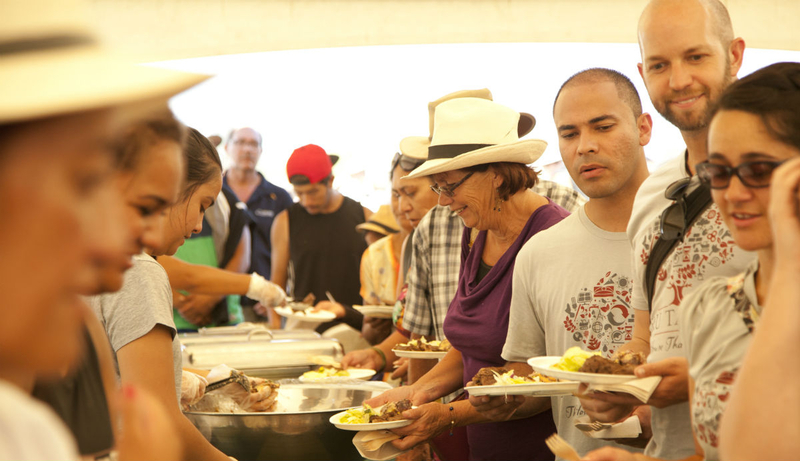 Marae are central to Tūhoe whānau, hapū and Iwi activities. Pātaka kai (20 kg of fillets) is available to assist Tūhoe hapū to manaaki manuhiri during the tanihana. Pātaka Kai is managed and distributed by each of the four Tūhoe Tribal Offices. A whānau member or the Marae representative calls their respective Tūhoe Tribal Office to speak with reception, with details of the tanihana. A request form will need to be completed to record the details of the tanihana, a requirement by Aotearoa Fisheries Ltd. Once the form has been completed and signed, Pātaka Kai (20 kg of fish fillets) will be given. Tūhoe, is one of eight Iwi in the Central North Island (CNI) Iwi Collective who came together to settle their claims to forest lands in the Central North Island. The vast majority of the settlement land is part of the Kainaroa forest. Access by Tūhoe to hunt is a privilege enabled by settlement. Each Tūhoe applicant must ensure that they are aware of their responsibilities and obligations as Tūhoe hunters in Kainaroa. 1. Complete the two application forms. 2. Have your current driver’s license and, a current Firearms License, Fishing or Game-Bird License depending on type of activity for which you are seeking a permit. 3. Call into Te Uru Taumatua, with your completed forms, supporting documents to reception. Completed documentation is submitted to First Security who issues the permit. You can choose to have your permit posted to you or pick it up from the First Security Permit Box, at 23 Monokia St in Rotorua. Kainaroa Recreational Forest Access Permits are issued annually for each hunting season generally from the first weekend of May to the last weekend in September. Any person over the age of 15 years, entering the forest for the purpose of hunting must have their own access permit. Tūhoe hunters must agree to abide by the terms of the permit. If a breach were to occur, ordinarily this will lead to a trespass or prosecution notice. First Security will notify the Iwi of the breach, this can jeopardise your future permit application. Contact First Security on 07 347 0297 or email timberlands.permits@firstsecurity.co.nz if you have any questions around your application.